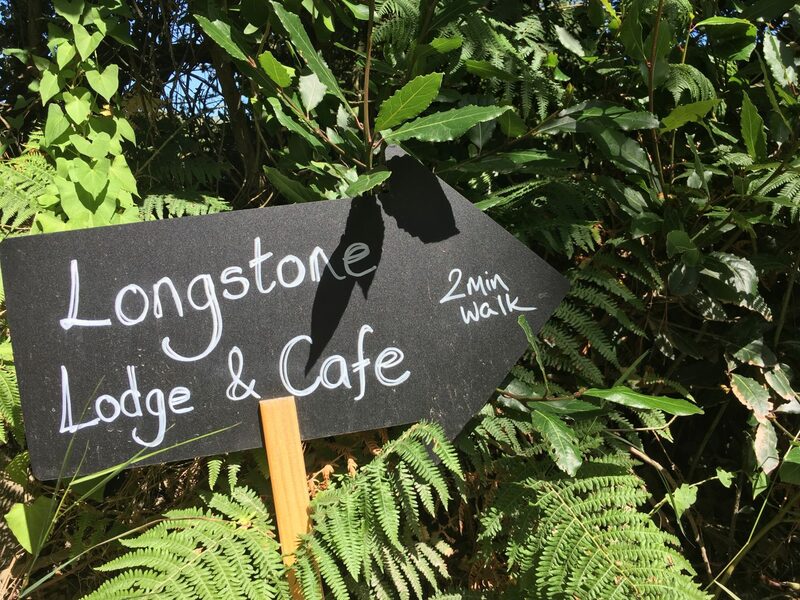 On our trip to the Isles of Scilly this summer, we called in for coffee at Longstone Lodge on the island of St Mary’s. 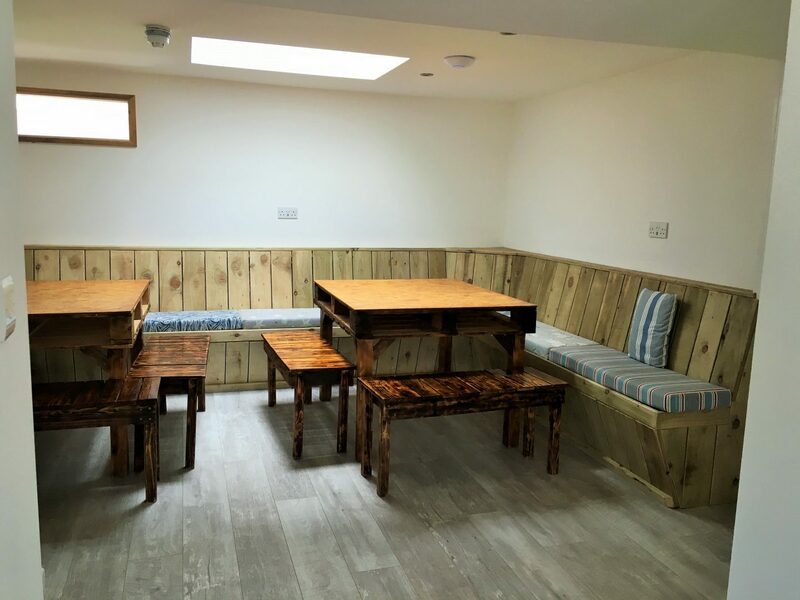 Hidden away in the peaceful centre of the island, Longstone Lodge is a cafe and hostel offering delicious food and affordable accommodation for families, couples and solo travellers in a destination which is often seen as expensive. Longstone Lodge is a family affair, built, owned and managed by Amy, her husband Colin and her sister Suzy, all Scillonians. 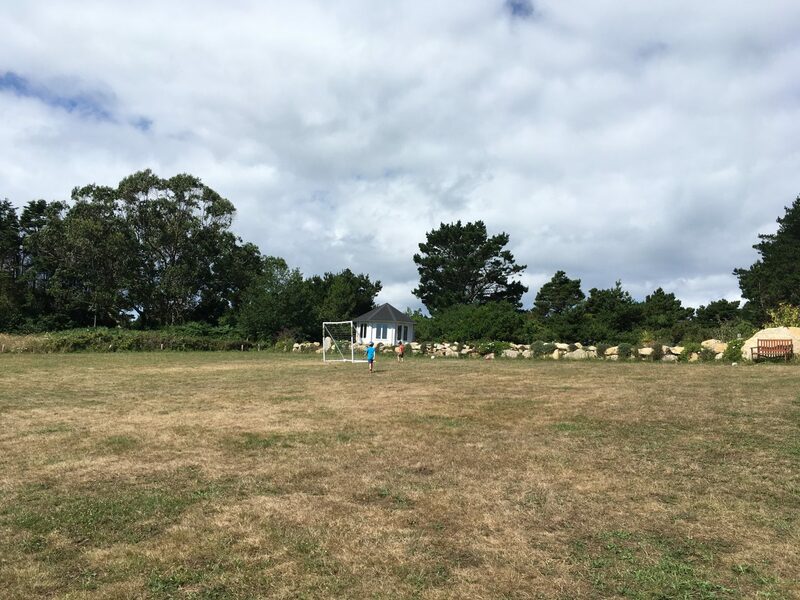 They purchased the land in 2016 and had their first cafe guests in May 2017, the hostel opened in May of 2018. As a brand new hostel, the owners have taken advantage of the current trend for clean, minimal design and decor. The rooms are light and airy with contemporary furniture and fresh white walls. Some rooms feature sunny terraces with a picnic table. Longstone Lodge felt more like a boutique hotel than a hostel, aside from the price tag. From my days as a travel agent, I’m familiar with the issues facing larger families where hotel stays can be eye-wateringly expensive. 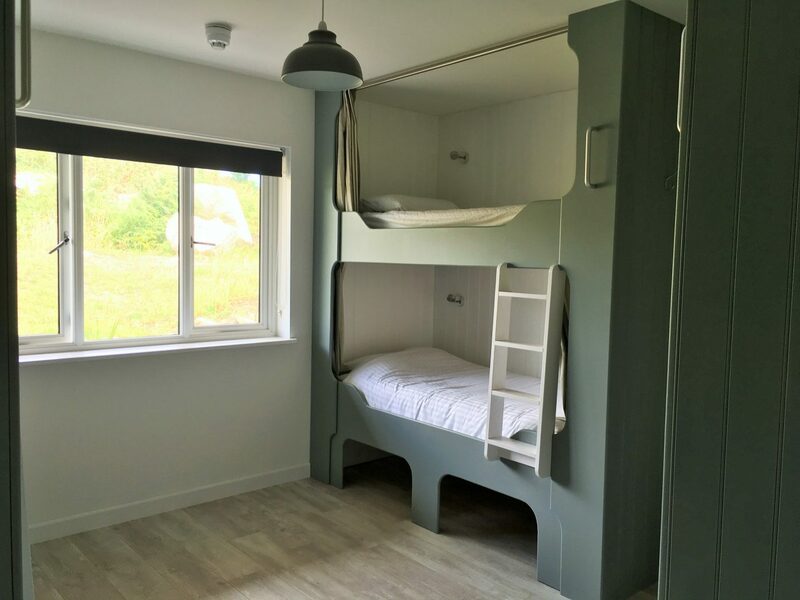 At Longstone, there are spacious rooms sleeping up to six guests and unlike a traditional hostel, all of the rooms bar one, are en-suite. Family-friendly touches include blackout blinds, cots, bed guards, baby bath, baby changing facilities and a selection of toys. 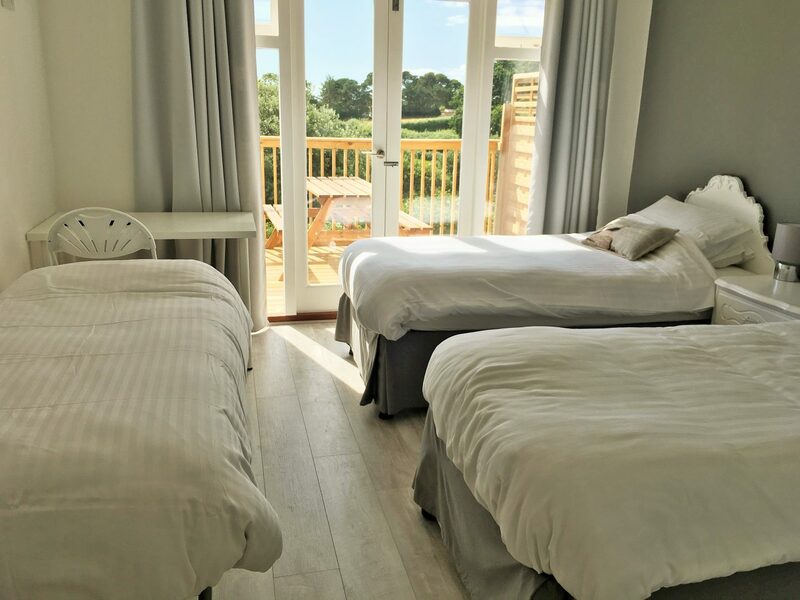 If you’re a single parent, the larger of the two single rooms is sufficiently spacious to accommodate a cot or child’s bed (and it’s en-suite). Prices at Longstone are typical for hostel accommodation. For 2018, the rates are the same for the whole year ranging from £24 per night for a dorm bed, £30 for a single room and £144 for the dorm room if it is hired for a family of six. Additional beds are £5 for a cot or £22.50 for a child bed. So if you’re travelling solo with your infant you can have an en-suite bedroom for just £35, what a bargain! 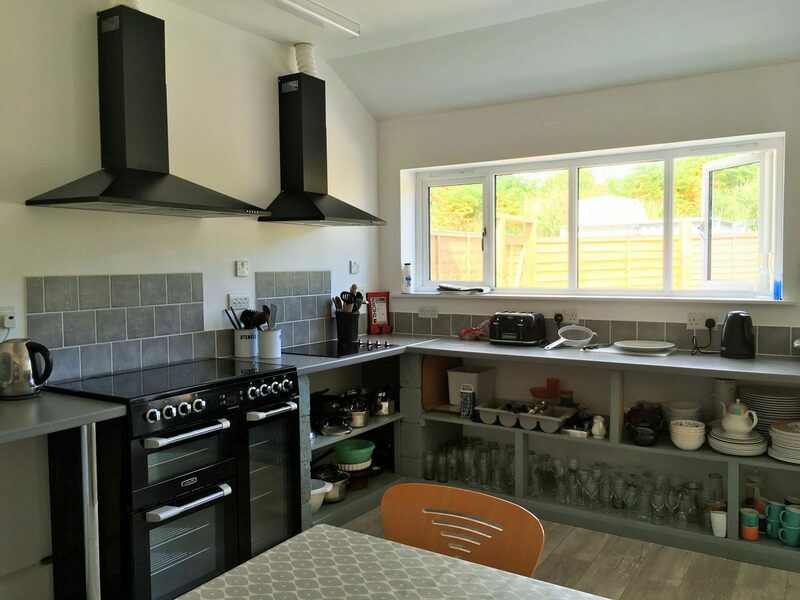 There is a spacious and well equipped kitchen and dining area at Longstone for self catering and guests can purchase essentials such as bread, milk and eggs on site, there’s also a freezer of home cooked meals to choose from if you’re feeling lazy. 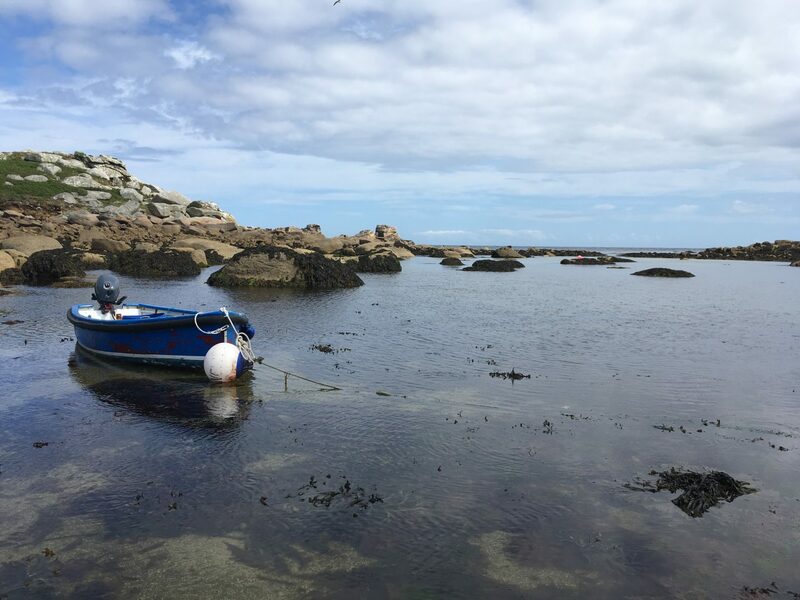 From June to October the cafe hosts a lobster night on alternating Fridays, when owner and fisherman Colin Jenkins gives a talk on shell fishing. 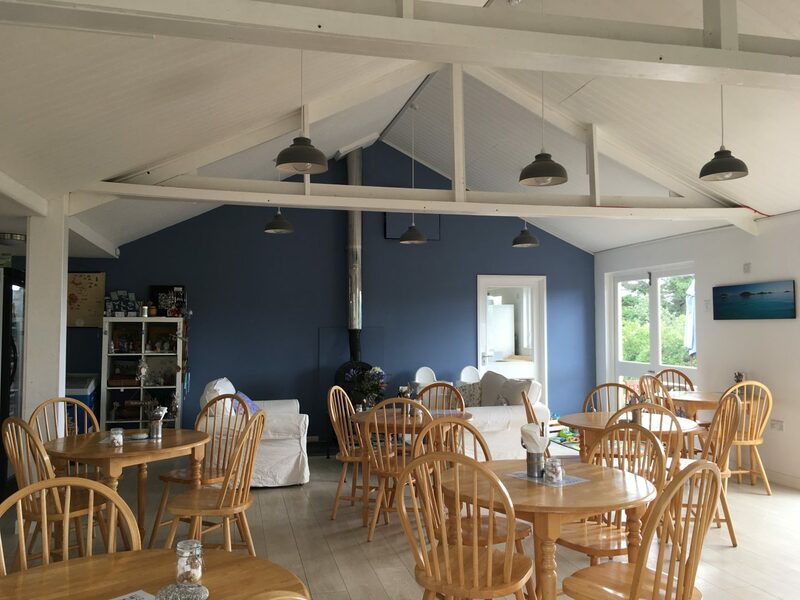 Longstone Lodge cafe is an inviting space with contemporary art on the walls and a little play space for children. 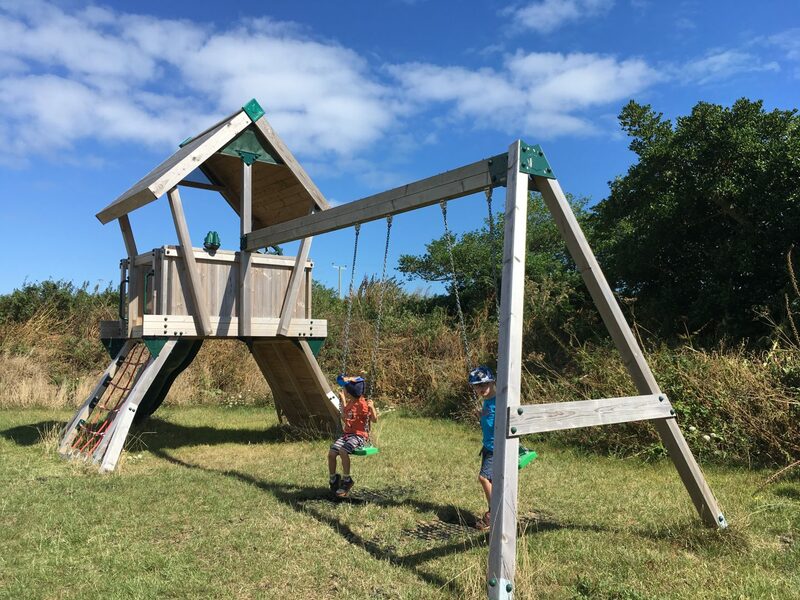 However, if like us you visit on a sunny day you’ll find yourself sitting outside on the terrace admiring the distant sea view through the trees while your children run off to the playground or the field for a game of football. The food is locally sourced or homegrown where possible and with a family of fishermen you can be assured of quality fresh fish. I can highly recommend the cream tea. 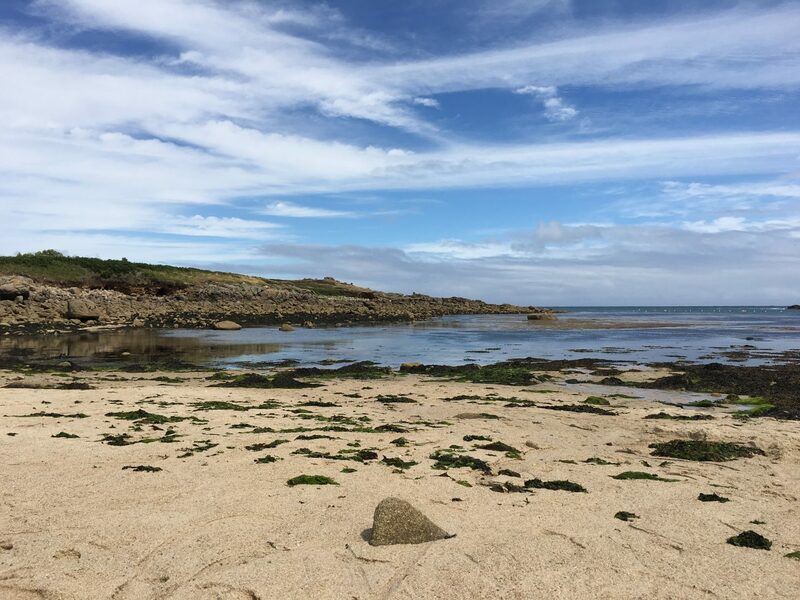 Although the Isles of Scilly are never heaving with visitors, I loved the tranquil location of Longstone. 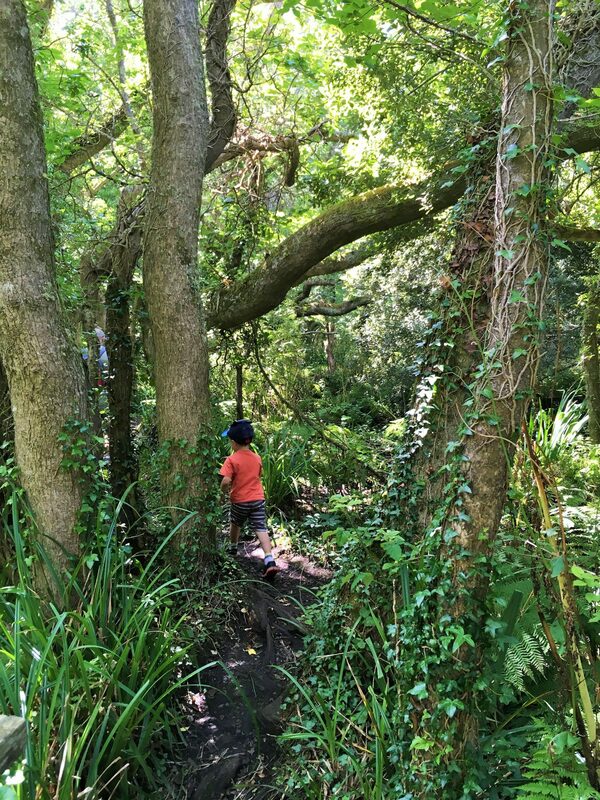 Close by we discovered the Holy Vale nature trail which passes through gnarled woodland, streams and ponds to the oft deserted beach of Porth Hellick. 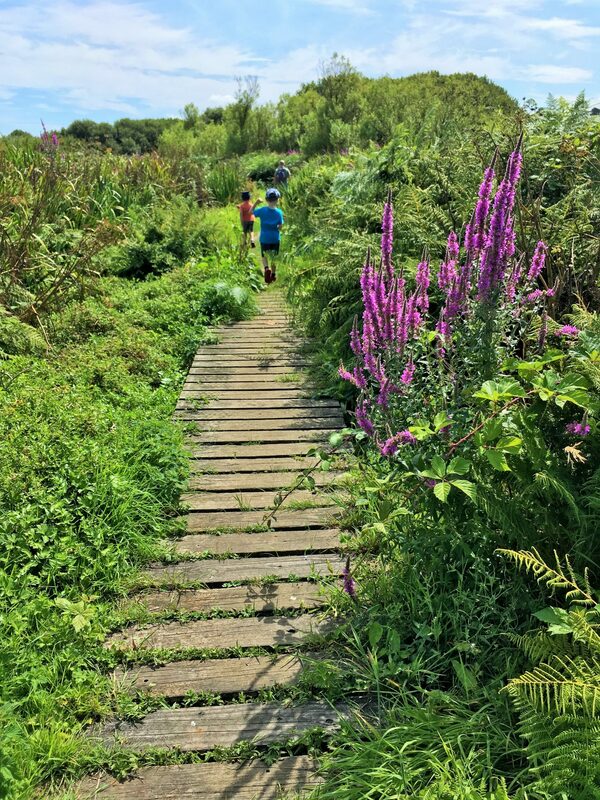 Also close to Longstone, we discovered the delightful Carreg Dhu Garden run by volunteers and packed with beautiful flowers and trees. You can walk or cycle to most places on St Mary’s. Longstone is around one kilometre to the nearest beach and about two kilometres to Hugh Town, the island’s main town. We enjoyed exploring much of the island by bike while my parents hired a golf buggy. Tourist cars are not permitted on the island so the roads are delightfully quiet once you leave Hugh Town. My four year old was able to cycle safely on the road which doesn’t happen at home. 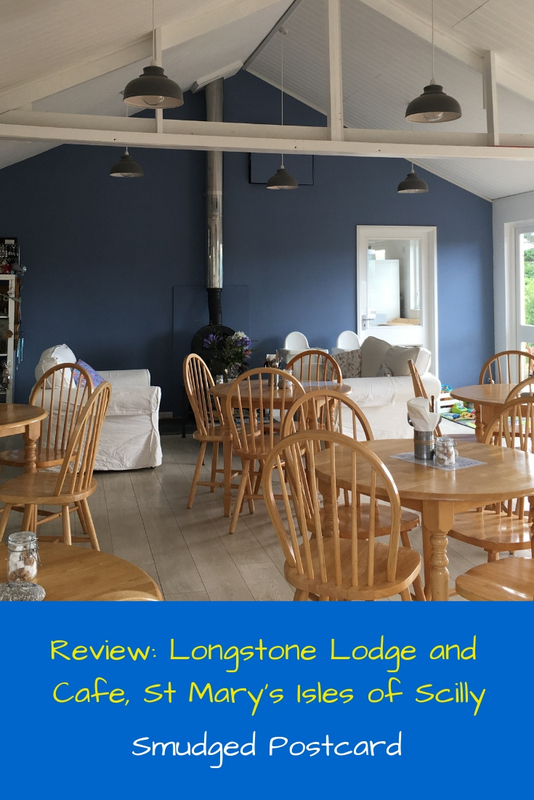 So, if you’re looking for an affordable play to stay which doesn’t skimp on style and comfort, I’d highly recommend a visit to Longstone Lodge and Cafe. 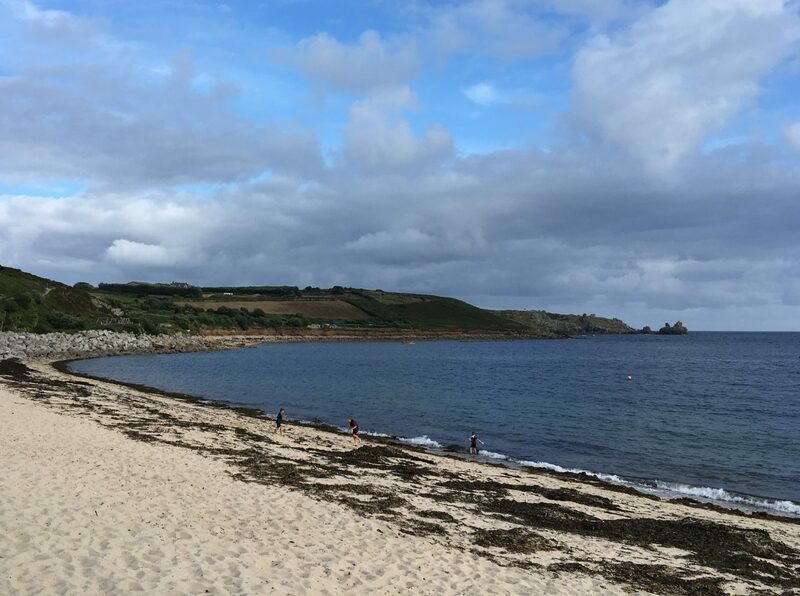 Stay tuned for more on the Isles of Scilly in the coming weeks. Have you stayed in an amazing hostel with or without your kids? Let me know in the comments below. 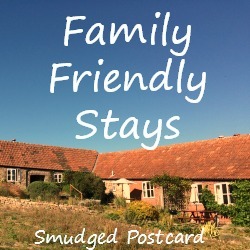 This post is linking up with Family Friendly Stays, the new family travel blog link up which goes live on the first Wednesday of each month. I have not been to Isle of Scilly yet, but when I do make it there will definitely keep this place in mind. I love the decor and the bunk beds are so fun for kids. Thanks for sharing on #TheWeeklyPostcard. It’s a really lovely place, so peaceful and such good value. What a wonderful hotel you found! I bet the kids loved the bunk beds! Thanks for much for sharing on #TheWeeklyPostcard! I’ve learnt a new word in reading this: Scillonians! It makes sense, but I didn’t know that’s what the island’s inhabitants were called. The lodge looks great. So good that it caters to families of lots of different sizes. It’s such a great place! So much thought has gone into creating it. I hope it’s a great success. It’s a brilliant place, so relaxing!